Knee support band | Avoid knee pain! MOTIBAN™ Magic Knee Bands provides relief during heavy load workouts. 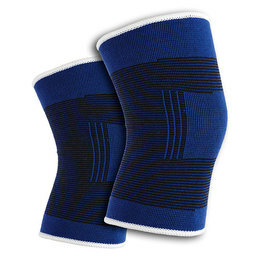 It is well known and used by athletes worldwide to ease their pain after their long and intense workout sessions. The Magic Knee Bands are perfect for any situation where you rely on your knees for an extended period of time, such as working long hours. Move the load from your bones to your muscles and experience muscle gain and avoid pain and injuries at the same time. Note: Comes with 2 pieces in each order. I play tennis ... a lot. I tried a pair of these. They're not too tight and not too loose - they're just really good, and gives perfect support. They hopefully will help save my knees from the crazy movements I do while playing tennis. Even when I go for long walks or work double shifts at the hospital, they truly keeps my knee stable.